The protection of money in the form of coins by slipping them into ceramic vessels dates all the way back to ancient China. Known in England from at least Tudor times, these vessels were called money boxes or sometimes money jars, since few of them were actually square. Over the centuries, many working-class people kept their meagre savings in these ubiquitous ceramic containers. A wide range of these money boxes was still in use during the Regency, primarily by servants and working class children. Though they were not especially glamorous, these small vessels would have been ubiquitous in a great many Regency households and despite their humble appearance, they would have been very precious to their owners. Pottery money boxes in the Regency . . .
Tax collectors in ancient China carried large ceramic jars in which the only opening was a small slit near the top. As they collected the taxes in their area, they dropped the coins into the jar and once their rounds were completed, they delivered their coin-filled jar to the tax authority. Some clever Chinese bureaucrat had reasoned that the use of ceramic jars would ensure that the full amount of taxes would be turned over from each collector. The only opening in the jar was the slit for the coins and they could only be retrieved by smashing the jar to bits. Other cultures have also used ceramic vessels to protect money in coin form. Archaeologists discovered a miniature temple in ceramic with a slot in the roof which seems to have been intended for use as a money box in ancient Greece. Various ceramic jars with slots, some with the coins still in them, have been found at a number of ancient Roman dig sites across Europe, including England. It is possible that people were using such pottery money boxes through the Middle Ages across Europe. But, by their very nature, these vessels were meant to be destroyed when they had served their purpose, so no evidence of them has been found in England prior to the Tudor period. It may seem odd that though few of these pottery vessels had a square shape, they were typically called boxes. That is because the meaning of the word "box" has changed over time. Today, we think of a box as a square or rectangular container with or without a lid. But the earliest meaning of "box" was a small receptacle made of any material, in any shape, which was intended to hold drugs, perfumes or small valuables. Thus, it was perfectly logical for those small pottery vessels in which people kept their precious coins to be called "money boxes." Because these money boxes would eventually be destroyed to gain access to the coins they contained, most of them were made quickly so they could be sold cheaply. The fastest way to make a pottery vessel is to throw it on the potting wheel, giving it a round shape. Making square or rectangular objects in ceramic is much more labor-intensive and takes much longer. Thus, for centuries, most money boxes were made in the shape of simple jars, often with a small finial or button on the top. During the Tudor period, surviving examples have a coin slot which is vertical and placed at about the center of the side of the vessel. These coin slots were fairly wide as coins in the sixteenth century were small and thick. Money boxes which have survived from the seventeenth century have round or globular bodies with either vertical or horizontal coin slots that are usually placed high on the shoulder of the vessel. The coin slots in seventeenth-century money boxes tended to be much thinner than those of the previous century because the coins from that later era were also much thinner. Coin slots in money boxes made in the eighteenth and nineteenth century became wider again, as did the coins of those times. By the turn of the eighteenth century, money boxes with domed rather than globular shapes were becoming more common for money boxes. As the century progressed, many potters began adding incised lines and simple pinched decoration over the surface of the dome. Once coated with a yellow glaze, these pineapple-shaped money boxes sold very well. Potters were also able to easily make that same domed shape look like the traditional beehive skep, which proved equally popular. With the use of simple designs, colored glazes and cheap child labor, many potters developed a steady side business in the production of money boxes. With the advent of ceramic molding, money boxes made in various shapes became a fairly simple, and thus inexpensive, process. Chickens, especially nesting hens or hens with chicks, were turned out in great numbers. With a limited palette of white, yellow, red and brown glazes, these chicken money boxes could be made to appear quite realistic. Another farm animal which was regularly rendered in clay as a money box was the pig. In fact, money boxes in the shape of pigs have been found in Southeast Asia that have been dated from the thirteenth to the fifteenth centuries. The pig was a symbol of prosperity and good fortune in this region, which seems to have been the impetus for making money boxes shaped like pigs. Some scholars believe that as trade with this area increased, both the symbolic meaning of pigs, and even a few money boxes of porcine shape, were exported into Europe. Money boxes in a wide variety of pig shapes began to made across the Continent and soon also became popular in England. By the mid-eighteenth century, both pig and chicken money boxes were vying for the attention of consumers seeking to purchase their new money box. As the nineteenth century opened, money boxes were available in an even wider range of interesting shapes. Chickens and pigs were still popular, but cows and sheep had joined the barnyard line-up. Both dogs and cats were rendered in ceramic as money boxes, as were more exotic animals, such as elephants and lions. Buildings, primarily ceramic cottages and castles, were also to be seen with coin slots, most often located in their roofs. By the Regency, cottage-shaped money boxes had become very popular and were made in a host of styles. However, unlike pastille burners, they tended to be much more simple in shape and decoration, since they were destined for eventual destruction. As manufacturers do today, some potters sought to increase their sales by linking their wares with the celebrities of the time. Money boxes could be found in the shape of the heads of Lord Nelson, the Duke of Wellington, and a host of political and popular personalities. In some cases, the money boxes were true likenesses of the individual they depicted. In other cases, money boxes showed the caricatured features of the person they represented, particularly if that person was not very popular. There were certainly at least a few people who purchased money boxes with the likeness of someone they did not like, anticipating the pleasure of smashing that person’s head to bits when they were ready to retrieve their money. In the last years of the Regency, more ornate money boxes were made, many of which included figure groups, such as a cow with a herd boy, a sheep with a shepherdess or a toll house along with its keeper. These more complex money boxes were also more detailed and finely made, so they were much more expensive. However, some scholars theorize that though these more complex money boxes did have coin slots, they were purchased as decorative items and would not be used to hold coins, so they would never be smashed to retrieve their contents. By the 1820s, money boxes became increasingly more elaborate and expensive, and were purchased more often for household ornaments than they were as vessels in which to save money. 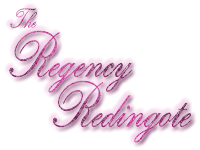 But that all happened after the Regency came to an end. Throughout the Regency, many small and large potteries continued to make simple, inexpensive money boxes, just as they had for decades before. Sales were especially brisk in the last week of the year among those of the servant class. Nearly all servants had a money box into which they put any spare coins from tips or vails which they might recieve over the course of the year. It was the tradition on Boxing Day for the servants to smash their money boxes and use the money they had saved to enjoy themselves on that day. For that reason, these money boxes were also known as "Christmas boxes" and "rattling boxes." Most servants would then buy a new money box in which to keep their savings for the next year. It was not only servants of the lower orders who kept a money box. Servants from butlers and housekeepers to boot boys and scullery maids all kept a money box into which they slipped any coins they might acquire over the course of a year. Those ceramic money boxes offered their owners some security for their money when living in a community of their fellow servants. Few servants had private living quarters or storage areas where they could keep valuables. Money boxes made of ceramic offered them an inexpensive way to protect their savings, since the only way to get to those coins was to smash the money box, thus deterring pilfering. Money boxes were also purchased by those of the middle and lower classes as gifts for babies and young children. Particularly among the lower classes, it was customary for a parent or god-parent to give a baby a money box into which they placed a few coins to start the child’s savings. Each year, on the child’s birthday or name day, family and friends might make gifts of coins which would be dropped into the child’s money box. As they got older, children might also earn a few coins from time to time which they also slipped into their money box. Typically, the money box was entrusted to the child’s mother, who would safeguard it and present it to the child when they came of age. Though money boxes were quite ubiquitous during the Regency, very few of them have survived into modern times since they were smashed when their owner wanted the coins which they contained. Nevertheless, Regency Authors can use fictional money boxes in their stories as often as they like. Perhaps a country girl, working as a housemaid, has resisted the urge to smash her money box every Boxing Day. Over the years, she has saved enough money to open her own shop. Or, maybe a farm lad, harboring what he believes to be a hopeless dream of traveling to the big city, is presented with a full money box on his eighteenth birthday. Then again, though it seems the upper classes seldom bothered with money boxes, it is always possible that a doting and/or eccentric relative might give a money box to a grandchild, niece or nephew, slipping more coins into it each year on that child’s name day or birthday. How might that money box save the day for that child later in life? Could a money box be just the thing for a spy desperate to smuggle a message, or a map, back to England? Instead of coins, the message or the map could be written or drawn on paper, possibly with sympathetic ink, then folded down and stuffed through the coin slot in the money box. The spy, or a courier, could transport the money box in their luggage, ostensibly as a gift for a child. Even if the luggage is searched, the money box would arouse little interest in anyone searching the contents. And, since the only way to open the money box is to smash it, only someone truly heartless would smash a simple gift intended for a child. How else might a money box figure in a Regency story? This entry was posted in Garniture and tagged Interior Decor, Regency. Bookmark the permalink. I am wondering if a spy might have a special money box made which comes in two halves, and a means of opening it hidden in decoration [twist piggy’s nose ring say]. It would have to be hand made to very fine tolerances so as not to readily show a join…. perhaps not a pig, but a tortoise….that is used as a dead letter box to communicate with underlings, or a confederate right under the noses of those who assume a money box can only be opened by breaking it…. actually the best way to do it would be to have a shepherdess, who is a bell shape and whose skirts lift entirely from a tubular base inside her skirts, perhaps with the skirt trimmed with semi-precious stones which are, in fact, pins that go into the base to hold the two parts together in case someone picks it up. What an irony to have it in the shape not of a shepherdess but some figure of the establishment like Sally Jersey. Porcelain could have been made into objects of such fine tolerances as you describe, but from what I found in my research, money boxes were seldom made of porcelain until very late in the Regency. For most of the period they were made of earthenware or stoneware. But, with clever decoration, it would have been possible to make a money box in two pieces while making it look like one when it was assembled. Having someone peek under a ceramic Sally Jersey’s skirts at her naughty bits could make for a very interesting story! 😉 There is certainly much potential in your ideas!! Oooh, the spy plot-bunny – that’s very good, indeed! Brilliant ideas from Sarah on that one, too. My plot-bunny is to have a minor character, second son etc, slightly evil but not the villain, sneak down to the servants quarter and mess around with the money box wof one of the maids. He is teasing her to return it only for a kiss. Time for the heroine to enter the scene… . A very realistic plot bunny. Not sure if this will work in your story, but I did learn during my research that in some cases, usually with the use of a knife blade, it was possible to work at least some of the coins out of the box without breaking it. But it all seems to have depended on the width of the coin slot in the particular money box, and the dexterity of the would-be thief. I hope your hero is in time to spare the young maid from the depredations of the second son!!! Another thought has occurred to me. There might be a case where a servant’s money box might have coins slipped into it surreptitiously so that later the servant could be accused of stealing from others, even though they were not guilty. Let us hope if this is ever used as plot point that eventually the innocent servant is exonerated! So that’s where piggy banks came from! Yes, they have a very ancient history, of which few people today are aware. Yet those little piggies persevere!